Title 15 of the United States Code, Chapter 22, also known as the Federal Trademark Act of 1946 or the Lanham Act, offers protection to the distinctive designations of a business, such as its logos, symbols, names, slogans and words. Such marks are representative of a business and can be one of the company’s most important and treasured assets. A Board-certified specialist in intellectual property law with over 38 years of experience in the field, attorney J. Nevin Shaffer, Jr. can help you understand and manage all the legal aspects of selecting, obtaining and maintaining trademarks for your business. Learn more about our services below, and contact J. Nevin Shaffer, Jr., P.A. for trademark assistance. An application for trademark registration can be denied on the basis that it is too similar to an existing mark, creating a likelihood of confusion. With over 38 years helping local businesses and international corporations with trademark decisions, J. Nevin Shaffer, Jr. can help you through the process of selecting a trade name or mark distinctive to your brand and conduct the necessary steps to secure that name or mark for your business. Based on Nevin’s many years of experience, we will conduct an exhaustive clearance search of the US Patent and Trademark Office’s Trademark Electronic Search system (TESS). In certain cases we may advise that it is desirable to conduct additional searches of other databases, including various Trademark Depository Libraries. At the conclusion of our search, we’ll provide you with an opinion in writing analyzing our results and letting you know the likelihood of approval for your registration application, as well as the chances that your selected mark could become the subject of a complaint of infringement by another. We handle all the important tasks of obtaining your trademark at every level, including the processes of filing, review, drafting letters and responses, and publication in the USPTO Official Gazette. Our comprehensive registration services include applications for Intent to Use and Use in Commerce in the US, as well as foreign or global protection through foreign-based and Madrid Protocol applications. Maintenance documents must be filed at regular intervals in order to keep your registration. Alive, otherwise your U.S. registration could be canceled, or your U.S. extension of protection may be invalidated. To maintain your trademark for as long as you want, continue to use it in commerce, and have your attorney complete the first, second and subsequent maintenance filings at the required periods. Upon registration, we’ll advise you of the applicable dates for action and stand ready to assist you when they come due in the future so that your valuable registration is not lost. As the owner of a valuable trademark, you can make the most of your valuable intellectual property through profitable assignment, licensing, franchising and merchandising agreements. As an experienced IP specialist, Nevin can negotiate on your behalf and draft or review any resulting agreement to make sure your rights are protected and your best interests are represented. Obtaining a trademark is one thing, and maintaining your registration is another, but did you know that your mark must also be used properly if you want to protect its value? If the trademark is not used properly in your marketing materials and the way you present it to the world, you run the risk of your mark becoming generic, at which point it loses the protection you worked so hard to get and keep. Our office will counsel you on appropriate trademark use and assist you in developing guidelines for your advertisers, in-house publications, website developers, Internet marketing and other activities where proper use of your trademark is crucial to its survival. If you feel that your business could be damaged by the registration of another company’s trademark, either while their application is pending or even after their registration has been issued, an inter partes proceeding before the United States Patent and Trademark Office may be a favorable option for resolving your federal registration rights that is more effective and efficient than litigation. J. Nevin Shaffer, Jr. can represent you in a number of inter partes proceedings, including oppositions, cancellations, interference and concurrent use. Registering your trademark provides you with a measure of legal protection, but as a trademark holder you must still be vigilant to protect your mark from infringement anywhere in the world where it is registered. If you feel your valuable rights are being infringed upon, we can help you mediate disputes or provide appropriate litigation advice to help ensure your mark retains its value. Whether undergoing opposition proceedings before Trademark Trial and Appeal Board, cancellation proceedings or concurrent use registration disputes, we can provide strategic advice and technical assistance to ensure you are well-represented. For assistance in any trademark-related matter nationally, internationally, and especially in Florida, Texas or Alabama, contact J. Nevin Shaffer, Jr. P.A. to schedule a confidential conference with an experienced, Florida board-certified intellectual property specialist. 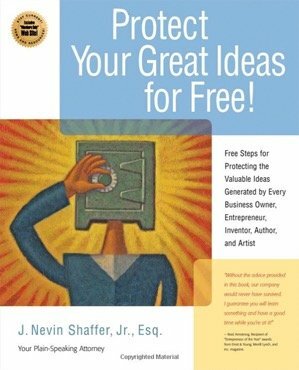 Aimed at businesses that thrive on idea capital, this primer on intellectual property law spells out the easy and important steps to take to protect ideas such as brands, recipes, inventions, or artwork. © 2018 - 2019 J. Nevin Shaffer, Jr., P.A. All rights reserved.